Having detained the Crimean lawyer Emil Kurbedinov under an “extremist” article, Russia seeks to put pressure on the lawyers involved in the case of captured sailors, who are considered prisoners of war in Ukraine. 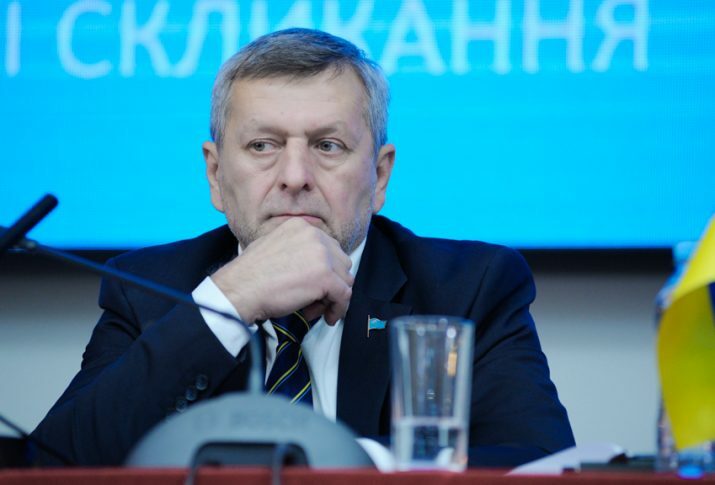 The Deputy Chairman of the Mejlis of the Crimean Tatar people, Akhtem Chiygoz made a corresponding statement commenting to QHA media on the detention of Kurbedinov in the Crimea, who is charged for a post with symbols banned in Russia. As is known, Kurbedinov participated in the case of Ukrainian sailors captured by FSB of Russia near the Kerch Strait. Chiygoz emphasizes that the trial of the sailors has a distinctly political nature, and Kurbedinov systematically informs the public about developments in the Crimean and Russian courts on trials against Ukrainians and Crimean Tatars. Therefore, such publicity and the active position of lawyers are very undesirable for Russia in the trial against Ukrainian prisoners of war, Chiygoz believes. And a group defending the seamen, which is now coordinated by lawyer Nikolay Polozov, stands first on the line of the Russian special services. It is absolutely clear, this is pressure. It is quite possible that they are trying to knock him out of human rights activities, even if not by arrest. Quite a large number of lawyers have been involved in these trials (against political prisoners) over the last three years, but for some reason pressure is put on several of them – like Polozov and Kurbedinov. I think this is mostly due to the fact that they are not just lawyers, they are very public. And their participation in such a coordinated group to support the trial against our seamen gives grounds for the Russian special services to launch a campaign of “preventive measures.” It is possible that this is done demonstratively for other lawyers also to “think about their behavior.” The security services will carry out similar “preventive measures” against other lawyers involved in the trials (against seamen). Chiygoz further noted that Emil Kurbedinov is not only a lawyer of the Crimean Tatars at the political trials in the Crimea (once Kurbedinov defended Chiygoz as well – ed. ), but he is also engaged in other e public activities at international platforms, both in Ukraine and in Russia. For example, he recently participated in a forum at the Sakharov Center in Moscow where the issue of pressure and persecution of Muslims on religious principles was discussed. “I think that at this very stage a “conversation” with Kurbedinov is taking place. If it ends within the administrative protocol, then Emil himself will cope with these formalities as a lawyer. And if it results in something more serious, then a group of Crimean lawyers will be immediately involved in the process,” the Deputy Head of the Mejlis said. December 6, Crimean lawyer Emil Kurbedinov was detained in the Crimea by employees of the Center for Countering Extremism. He is charged with article 20.3 of the Code of Administrative Offenses of the Russian Federation (“Propaganda or public demonstration of Nazi attributes or symbols, or attributes or symbols of extremist organizations …). The article provides for an administrative fine in the amount of 1 thousand to 2 thousand rubles with confiscation of the subject of an administrative offense or administrative arrest for up to 15 days. Lawyer Nikolai Polozov noted that the latest case in which Kurbedinov accepted an order for defense (within the framework of the election of a preventive measure) was the case of captured Ukrainian sailors considered prisoners of war in Ukraine. Polozov called on the legal community, public organizations and representatives of international organizations to immediately respond to another grave violation of the rights of lawyers. In the spring of 2018, at a press conference in Kyiv, Emil Kurbedinov stated that the institute of advocacy in Crimea is the only institution today not controlled by Russian special services that can convey the truth to the public about what is happening in the courts during political trials. At the same time, in Russia, active work is under way, the purpose of which is to bring lawyers under control. Kurbedinov also stressed that Russia uses its anti-extremist legislation in the Crimea for repressions and for combating dissidents – those who disagree with the Russian occupation of Crimea.